This month, I found great books and great bargains; but I only bought what I need instead what I wanted, and this is a good thing as I am trying to get into reading my collection instead of reading books that are not included it this year. My first purchase was on 3rd, May of 'Captain James Cook: A Biography' by Richard Hough. I purchased this one on the day I was in Brisbane City to see the Endeavour which has been touring Australia. It cost me a lot of money and nearly got soaked that day; but only a few pages were wet fortunately. The next lot of books weren't until later on in the month when I needed to go out to Garden City to pick up some paint. Borders was having its last days sale and I decided to drop in and see what was on offer there. As you've read in one of my earlier posts, the store was emptying out of books very quickly with books they were practically giving away. 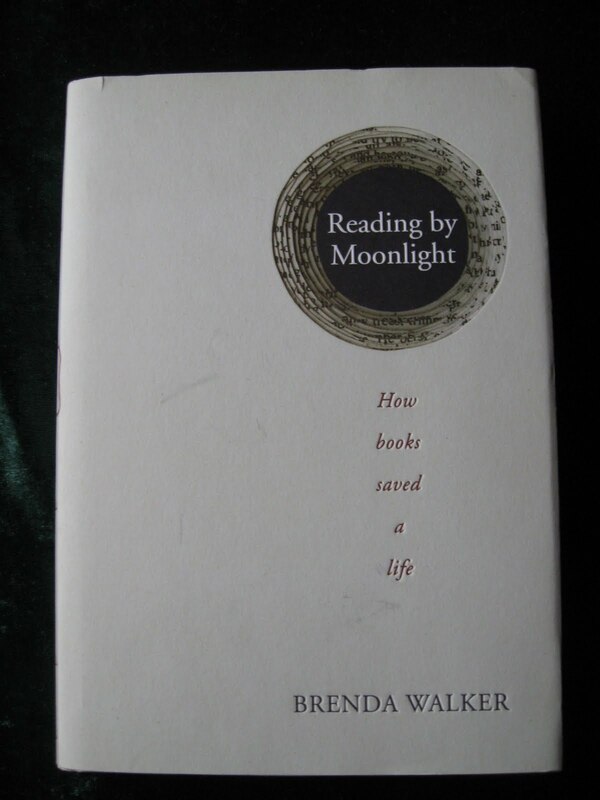 But I thought to make my purchase worthwhile and bought myself 'Reading by Moonlight' by Brenda Walker. I've always wanted to own this book since it was published and now I do, I look forward to reading it. On the same day, I wandered into QBD - my usual book haunt - and found two books that looked entertaining. The first was 'Everyman's Rules for Scientific Living - a novel' by Carrie Tiffany; which I found in the bargain bin for only $1.99! How could I pass that up? And then, I found a hilarious book I thought would be brilliant and funny to read 'The Lost Journal of Indiana Jones' by Dr. Jones I saw that not far from the bargain bin for $4.99. Seeing I'm a fan of the movies, I thought it would be fun to have a book about it all to laugh at. So, there you have it, my monthly book purchases. What have you found in your travels lately that you've bought for a song? Where your finds in the most unlikely places, or did you find you already had a copy when you got home (like I did when I returned home from Garden City with one of my books). 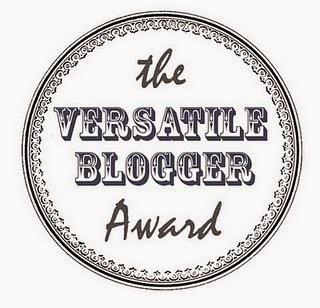 Until my next post, happy reading! What I Did For Towel Day! Today, started out cold, and so I got out of bed early and ate a nice hot breakfast and started my day right; by selecting my towel. I thought to take with me a bright yellow one and used it immediately to keep my digital camera from getting wet and cold from my insulated cold pack in my shopping trolley. So, with my towel's first use under way, my shopping list in hand and my Go Card in my back pocket, I was ready to leave the house. By the time I had reached the pet store to pick up Little Miss Stevie's bird food and millet, I had to repack the trolley again and used the towel to wrap the around the bag so her favourite treat didn't get crushed too much by the weight of the Finch Mix. I hit the Life Line store and scored myself an original Christian Dior, Italian Made handbag for $12! I'm not kidding... I was looking at it in the glass cabinet and wondered if I was looking at a knock-off; but couldn't be sure. So, I asked for a look and immediately bought it! The towel came out and was wrapped around the handle of the trolley as there wasn't any space in it anymore after I hit Woolworths; and there it stayed for the rest of the time I was shopping, until I hit Coles. This is where I pushed the childseat open and laid it in the seat of it and put my eggs in it and then wrapped up a nice mug in the towel to keep it from getting broken or moving around too much. After the checkouts, I wrapped it around my trolley handle again and ordered my taxi where it ended up in the front seat with me and I came home. 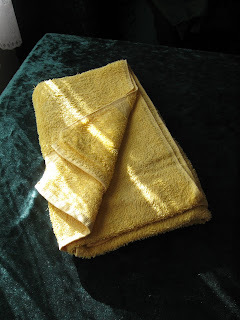 The day's not over yet... so I wonder what else I'll get up to with this yellow towel for Towel Day? What did you do with yours? This year, on 25th, May in fact, be a true fan of Douglas Adams and carry a towel with you everywhere. This is to commemorate his life and times and work throughout the years; his brilliant, funny book 'The Hitchhiker's Guide to the Galaxy' where this idea took off. I took part in it last year and had a great time while I was out and about carrying my towel and finding great uses for it. While they weren't all that ingenious (sitting on it so I didn't have to sit on the cold metal bus seats at the bus stop), the towel did come in great use for the day. So, Ford Prefect and Arthur Dent found more uses for their towel than I did... I'll see how many uses I can find for it in the day on the day and let you know what I did with my towel on this day. Until then, remember to take your towel with you, and remember the great and funny writer Douglas Adams was. He may not be with us anymore, but his work will always live on. The Biggest Closing Down Sale Around! I was at Garden City today and walked past Borders on the lower floor where it was advertising between 70 - 90% off all stock. I was amazed and just had to have a look instore. When I walked in, there were brand new books going for an absolute song! Entire sections of the store were bare, while other sections were still full and marked down to be gone in 6 days' time. Walking around the shop, I found books that were published in only the last few years - brand new $40 books - that were going for around $6.00 and $10.00. I really felt horrible that this great franchise was going into administration and having to close all of its stores; including the Angus & Robertson one that was upstairs near the bus station (and when I walked past, it was empty and the doors were closed, lights off and the store's sign was gone. I didn't know I'd miss it so much until today). However, I thought to choose one book to purchase from this massive sale; and made sure it was a good one. So, I set about looking for it - perusing the shelves and thinking about which book I've been wanting to read since it came out. However, I couldn't find the Christian Slater biography by Nigal Goodall. And just when I was about to turn away, I spotted 'Reading by Moonlight' by Brenda Walker. This is a book I had seen on the shelves for a long time; and it was an expensive one - priced at $36.99. When I looked up at the legend they had put up around the store (to help the shoppers figure out the percentages between the prices and how much we were actually going to spend; which I thought was a really good move), I found I was going to buy this one book for $10.99! What a steal! I'd never see this book, in any store like this, for a cheaper price. So, I bought it; and I'm glad I did. Borders and Angus & Robertson will both be missed in our shopping centres around Australia. However, the latter store still has an online store; which is great and very convenient for us readers. 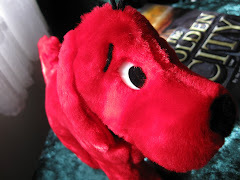 So, have you been to a Borders sale recently? If so, which books did you score; and how much did you save in your pocket? With only 6 days left until Borders Bookstore here in Australia closes down for good, will any of you be going to the last day sales? Until my next post, happy reading. The Tower of Babel made from books! This may not be as big - or as tall - as the original Tower of Babel; however, it's a good liking to it. In Argentina, artist Marta Minujin's 25-metre tower is made of 30,000 books in languages from all over the world. Built in San Martin Square, Beunos Aires, to mark the Argentinian city's naming, it has been said that this structure will be talked about for years to come. It's well worth a look at all the photos, not just the first one. Throughout history, there have been thousands of people who have made a major mark in our lives; that have really changed how we live. But how many of those people do you know are left-handed and really did it all on their own? Well, in this large book, Ed Wright has found a poignant and brilliant group of Southpaws who - if they hadn't been around - life would have been a lot different for us. From Ramses II to Bill Gates, this book has quite a collection of people's lives. Many of them didn't have the best education, but they often had the most brilliant mathematical minds around, thought outside the box when nobody else could and had the best ideas when everyone thought all was lost. 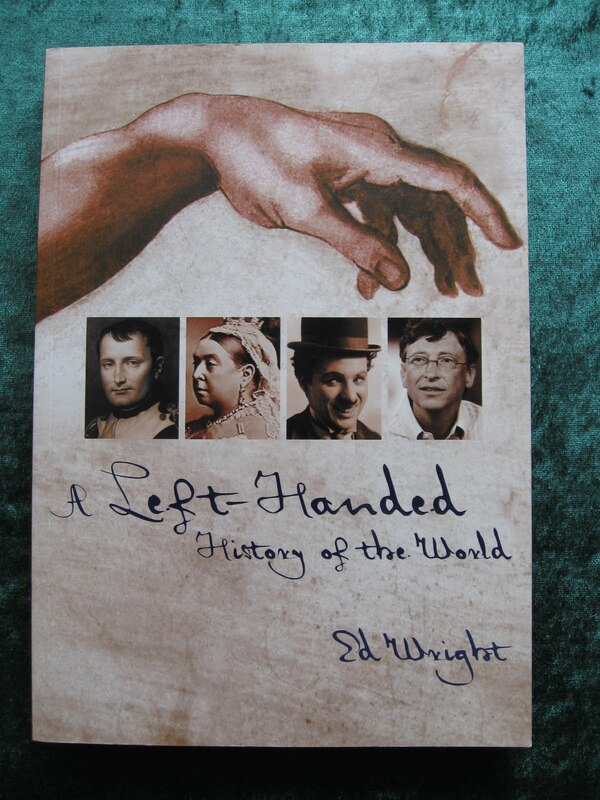 From musicians to artists to rulers and politicians, this book has a very different view into how a Left-Handed person works; as they have particular traits that make them purely original beings and separates them completely from the right-handers of the world. Once you read this book, you'll be looking at your leftie friends with a whole new respect. Now I love reading these kinds of books. This is a book I purchased in the Book Warehouse at Arndale in Logan City. 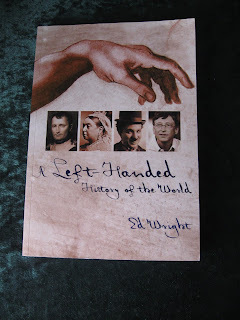 And the main thing that caught my eye was that it was about left-handed people; famous ones. Being a leftie myself, I have always felt either a little left out or different from everyone else because of how I think or see things. And this book has made me feel okay about my differences from my right-handed friends. Actually, the only thing that's missing from me as a leftie is my mathematical ability; as it disappeared at a young age from an illness. Otherwise, I'm doing fine. Ed Wright is an author, poet, critic and harmonica player who lives in Newcastle and Sydney. He writes popular non-fiction and book reviews for a living and is currently working on a novel and collection of poetry. 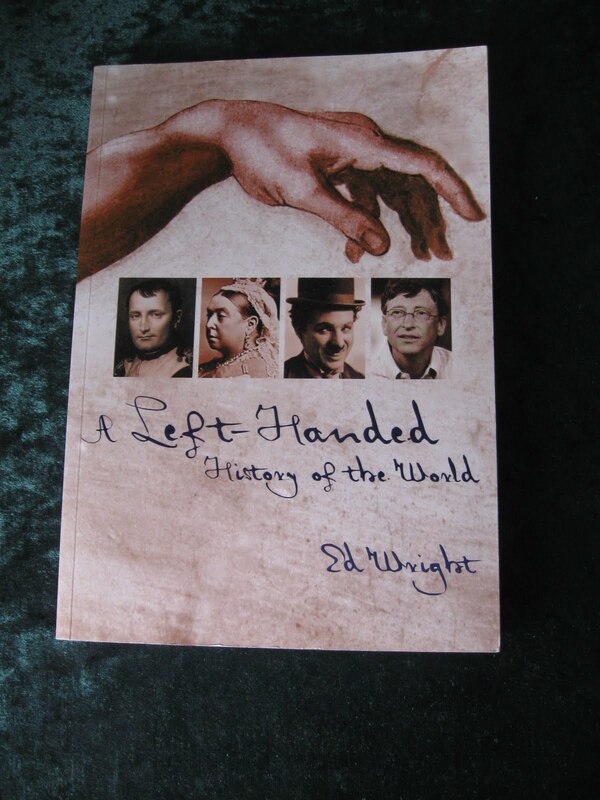 His latest book is The Left-Handed History of the World. I've been reading a lot lately; and reading really great stuff too. And seeing it has been lovely, warm weather, I've had time to sit out the front of my unit in the sun and get my nose right into a good book or two in the past month or so. 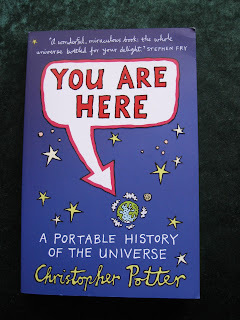 One of the first books I've begun reading - and love 'You Are Here' by Christopher Potter. This author takes us into the outer realms of the solar system, galaxy and the universe via the Hubble Telescope and takes us back in time by introducing us to the philosophers who took our ancestors to the stars first off by gazing skyward in the first place and making their own observations (even though they weren't the most popular people around at the time; some of their words and works have turned out to be the truth now). 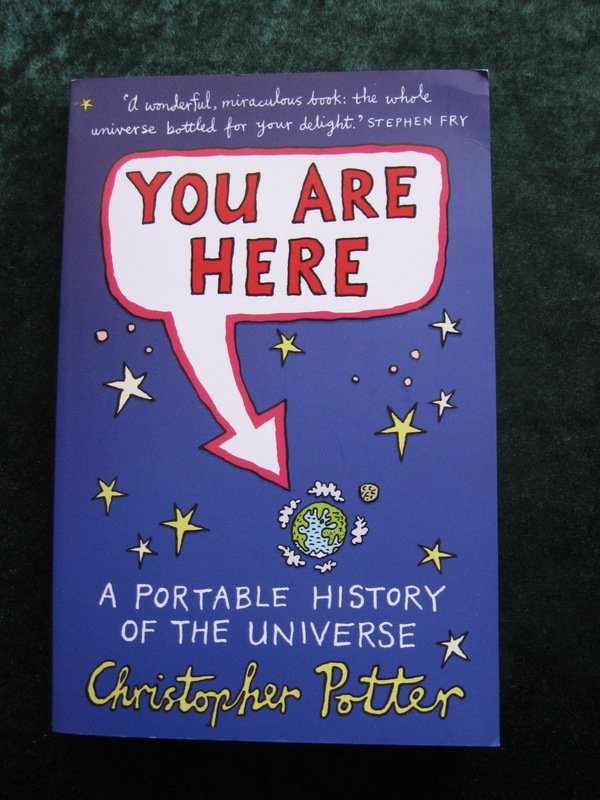 I'm almost halfway through this book; and loving how our universe has always been there; but not and little by little, its showing us more each day. The next book I'm also into is 'A Left-Handed History of the World' by Ed Wright. Now this titles sounds like an oxymoron, but really, it is about the people who made a big difference in our world and how they all turned out to be Southpaws. The author tells us a few little known things about lefties and that they all have certain traits that makes them the way they are. He also takes us right back to the earliest known lefty of them all: Ramses II of Egypt. This leader wasn't just a lefty, he was also a redhead; now how's that for unusual? And being a left-handed person myself, I found all this new information about left-handed people very interesting and a little bit funny too. So, these are the two books I've indulged in right now; and I'm zipping through them both at a fast past! Which books are you getting into? Are they non-fiction or fun and easy fiction or thrillers? Leave a comment and let us know. I love biographies and autobiographies. These books cover a person's life in such a way - and at such an angle - that we are invited to see more than we would if we were to meet them in person. I don't remember the time I began collecting these particular types of books, but I have enjoyed reading them from time to time. The first one I loved reading was in 2001 'Most People I Know (Think That I'm Crazy)' by Billy Thorpe. It's a hilarious book about the singer's life and times of being in the music industry; the first of two books he wrote before his untimely death. It was a few years before I got my nose into another book similar to that one; 2003 in fact. It was 'Sean Connery: A Biography' by Micheal Freedland; and what a book that was! I loved it and couldn't get my nose out of it! In 2004, I read Stephen King's 'On Writing: A Memoir' and have found the more times I read it, the funnier it gets. However, I had a gap of four years before I picked up another biography; however I did get into collecting them by this stage, but not reading them. This is a strange thing I do. I love to collect a certain type of book, but not read them; I just think I might read them one day. But with these, their one day is coming soon; as in 2008, I got my nose into 'Things I Overheard While Talking to Myself' by Alan Alda. Now this man is hilarious in MASH and I have loved him in movies and other shows. He's just one of those people where I could hear his voice whispering to me in my ear while I read this book. And you know, I'd love to read anything else he's written. It's been a few years since I've read a good biography. However, I did get my nose into David Tennant's one by Nigel Goodall... and found it was brilliantly written, easily read and I wanted to read more about the man; even though there wasn't anything else to know about him. But I have been collecting biographies and autobiographies about all kinds of people from poets, writers and actors to bands and singers and explorers. I want to know more about famous people and what makes them who they are and how they got where they are in this world. It may seem silly to want to know this information; but it's just a curiosity I have (and have always had) about the famous. So, do you collect any biographies and autobiographies? If so, which ones? Below is a list of mine. So, there you have it, my list of biographies and autobiographies! And what a list! I didn't know I had so many.